It took 11 games, three world cups and 64 years, but Chile has finally defeated its former colonial master in the beautiful game and, in doing so, sent the reigning world champion Spain crashing out of Brazil 2014. Predictions of a “kamikaze” style offensive Chile looked spot on in the opening minutes as “La Roja” talisman Alexis Sánchez created two genuine chances in the opening two minutes of the match. But, against all odds, it was the South Americans’ desperation and desire at the back which won this most crucial of games. This entry was posted in Sport, The Santiago Times and tagged Brazil 2014, Soccer on June 18, 2014 by joehinchliffe. After Chile’s historic 2-0 victory against Spain on Wednesday hordes of “hinchas” poured into the streets of Santiago and headed towards Plaza Italia to celebrate. This entry was posted in Sport, The Santiago Times and tagged Brazil 2014, Photography, Soccer on June 18, 2014 by joehinchliffe. The Daily’s Kim Williams checked in with Santiago Times Editor-in Chief, Joe Hinchliffe, in Santiago, Chile, who is covering all World Cup matches, to find out how Chileans rated our boys performance. This entry was posted in 2. In the news, Radio, Radio 2Ser, Sport and tagged Brazil 2014, Soccer on June 16, 2014 by joehinchliffe. ForzaItalianFootball.com spoke to Joseph Hinchliffe, editor of the leading English-language Chile news source The Santiago Times to see what people in Chile think of La Roja’s chances at the 2014 World Cup in Brazil. This entry was posted in 2. 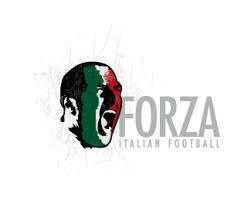 In the news, Forza Italian Football, Online, Sport and tagged Brazil 2014, Soccer on June 6, 2014 by joehinchliffe.